It’s not often I make a batch of scones, but when I do, it always feels special – biting into a warm scone that just popped out of the oven is somehow unforgettable. What prompted me to create this recipe, though, was having bitten into one too many heavy, door-step-looking scones from a local bakery. I came home one day, hell-bent on making the lightest, crumbliest scones ever. It took a few tries, but I can honestly say that this recipe yields the fluffiest scones I’ve ever tasted! 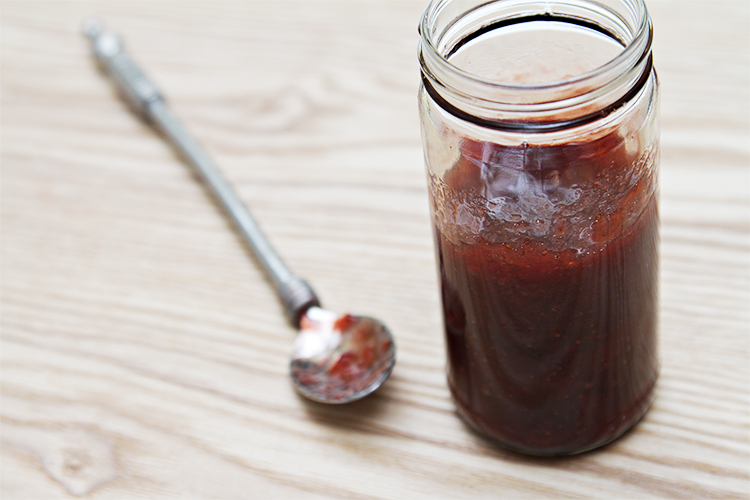 Make your own crème fraîche and jam! So indulge yourself now and then, and make a batch of these irresistibly crumbly morsels. Served with homemade strawberry jam and crème fraîche, the simple treats become memorable indeed. Step 1: Place the flour, almonds, baking powder, salt and sugar in a large bowl. Stir with a fork until well blended. Add the soft butter and stir again with a fork until butter forms small crumbs. Set aside. Step 2: Place the eggs, cream and almond extract in a small bowl and whisk until well blended. Add the egg mixture to the flour/almond mixture and stir with a fork until the mixture comes together. 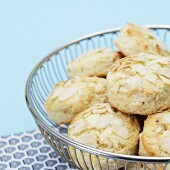 Do not over-mix or the scones will be stiff; the mixture should still be a bit crumbly. Gather the dough into a ball with the tips of your fingers and place it onto a floured surface, sprinkle with a little flour and roll into a circle 8” wide and 3/4” thick. Using the cookie cutter, shape 9 scones and place them on the prepared pan, 2” apart (shape the last couple of scones with the scraps). 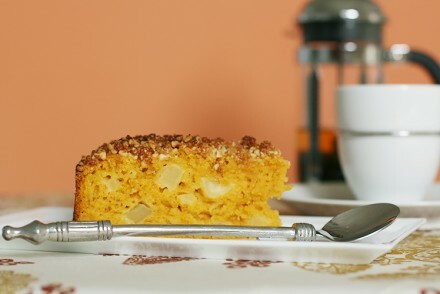 Brush the tops with the reserved beaten egg, sprinkle with a few almond slices and a little sugar, and bake for 10 to 12 minutes until golden. Serve the scones right out of the oven with the strawberry jam and the crème fraîche on the side. Hello Silvia! I just updated the recipe with all the metric measurements. 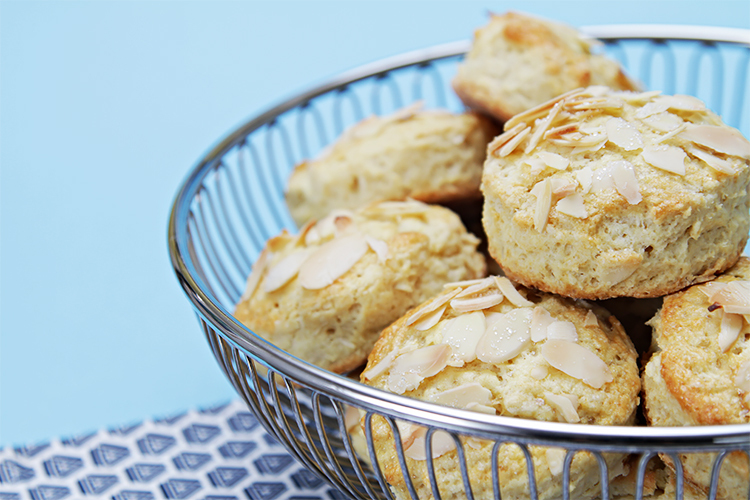 Take a look: https://foodandstyle.com/almond-scones-served-with-creme-fraiche-and-homemade-strawberry-jam-with-balsamic/ Have fun making these scones… and bon appétit! I adore scones! 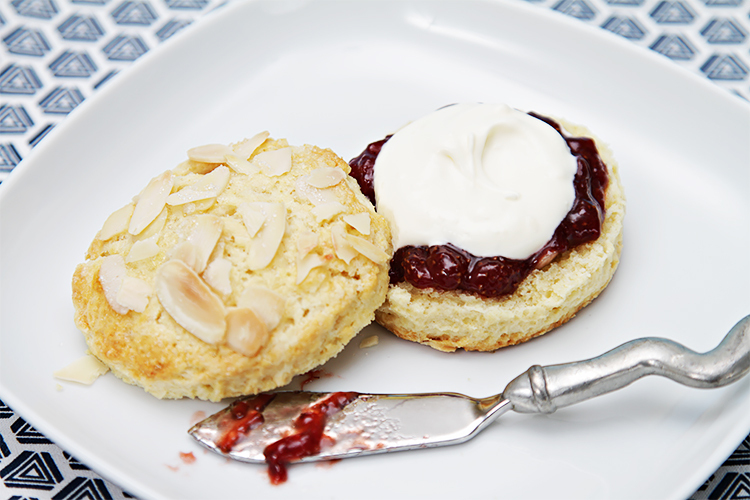 Almonds with creme fraiche and strawberry jam is an exquisite summer treat! We love, love, love scones and I bake them often. Sometimes it seems I’m making a batch nearly every Sunday morning. 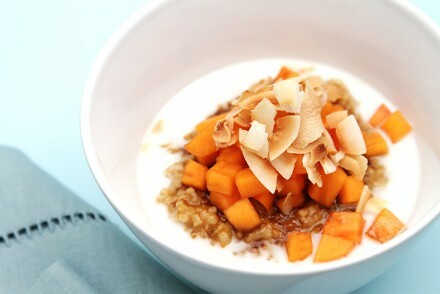 Almond is one of my favorites! I love good scones! 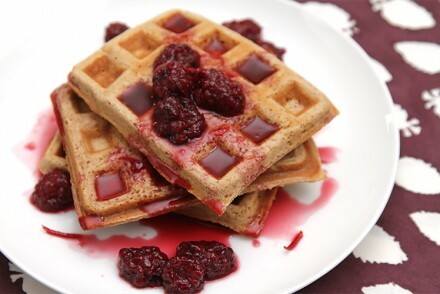 These look fabulous, Viviane.